My 4 year old and I are suckers for nature crafts. 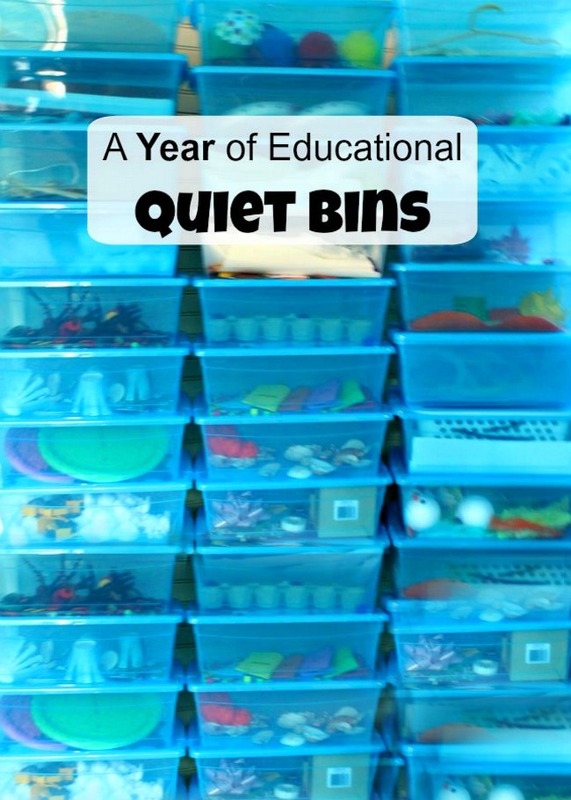 I am still not sure whether it is because of the fun that we have while gathering the supplies or if it is creating something beautiful with them later. Either way, we love them. 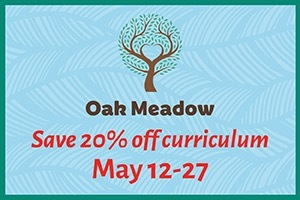 Our favorite activity is working with clay and nature items. 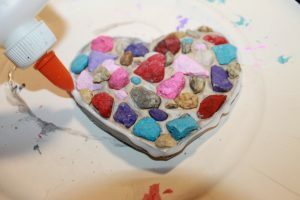 With Valentine’s Day coming up, we had an idea to make a heart mosaic with small painted rocks and pebbles. Whenever we gather our supplies, we make sure to wash and dry them before we use them for crafts. 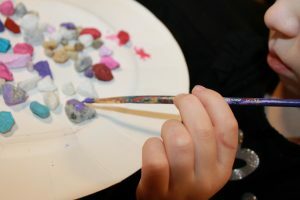 When our rocks were dry, we painted them with acrylic paints and set them aside to dry. We left some bare because we like the look of the natural rocks too. We rolled out a mound of air dry clay with a rolling pin, but salt dough would work just as well. 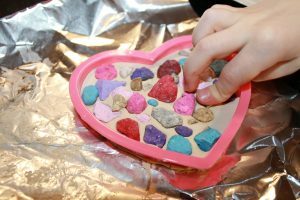 We pressed a heart-shaped cookie cutter into the clay and left it in the clay. Leaving it in the clay will ensure that the clay will keep its shape while you press the rocks into it. My daughter pressed all of her painted rocks and pebbles into the clay trying to squeeze in as many as she could. 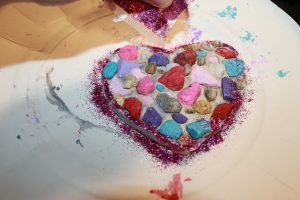 When she was done, we dabbed a little silver paint between the rocks and lined the outside of the heart with glue and then sprinkled glitter on top to create a sparkly edge. When the glue dried, we shook off the excess glitter. You could poke a hole at the top of the heart with a straw and make this a hanging ornament. When the clay hardens, this would also make a great paper weight. 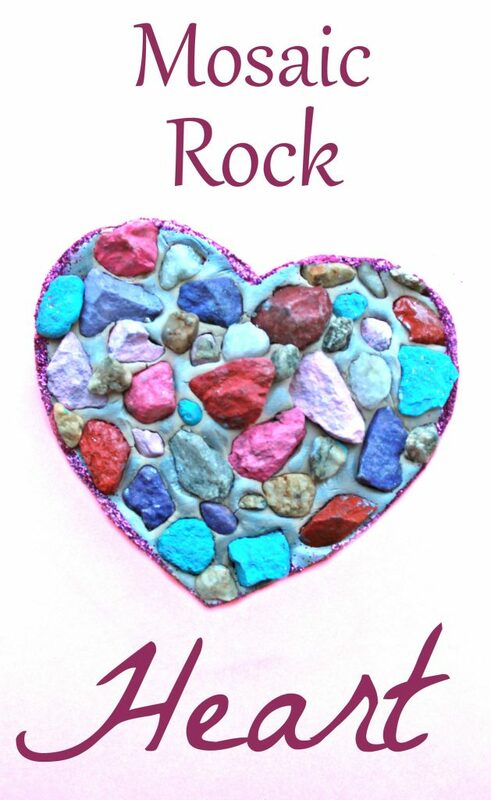 Our rock mosaic kicked off a few more nature made hearts. 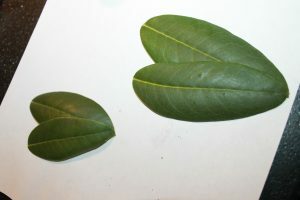 We picked a few leaves off of a bush in our yard and found that if you glued them together that they made a perfect heart shape. We used school glue to join them together. 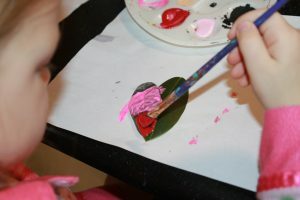 When the glue dried, we used acrylic paints to paint the hearts. How pretty did these turn out? My daughter did a great job painting them. For our last craft, we used sticks to form a simple heart. This idea is so cute! I had found a similar idea over on Red Ted Art. 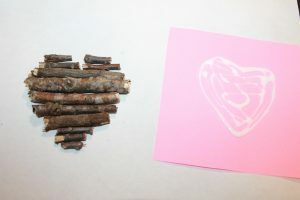 Pop over to read Maggie’s detailed tutorial, Stick Heart Canvas, if you are interested in trying. Make sure to find easy to break sticks for this because you will have to break them into a variety of sizes. The kids might need help getting the sizes right. I cut a piece of pink card stock into a square and squirted a heart shape on it with the glue. 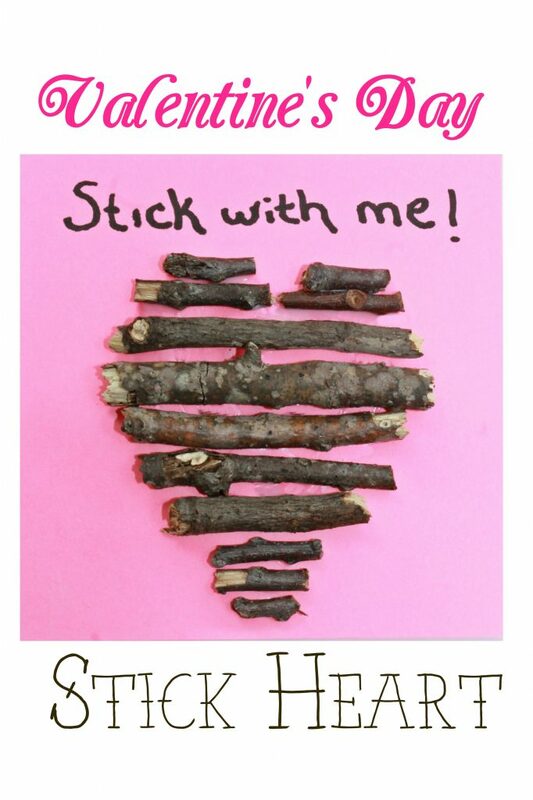 We pressed the sticks onto the glue to form the heart. I am a bit of a cornball, so had to add the pun to our Valentine. The saying is optional, of course. 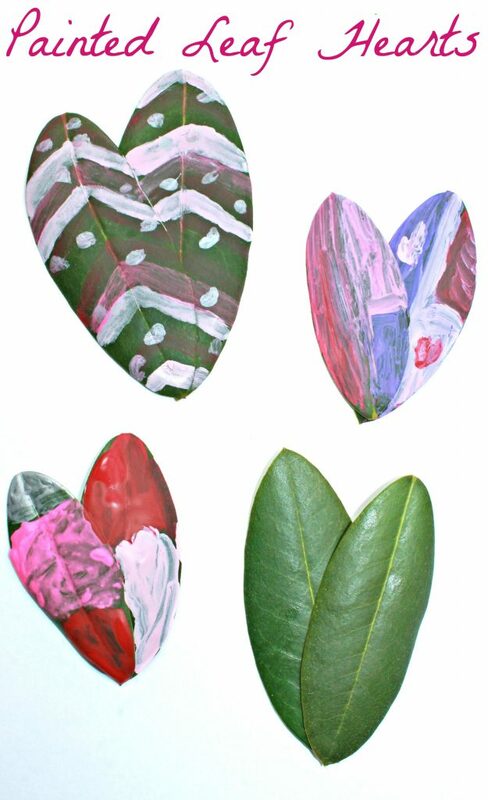 These nature hearts would be wonderful for Valentine’s Day, but are also perfect to make all year round to spread a little bit of love. 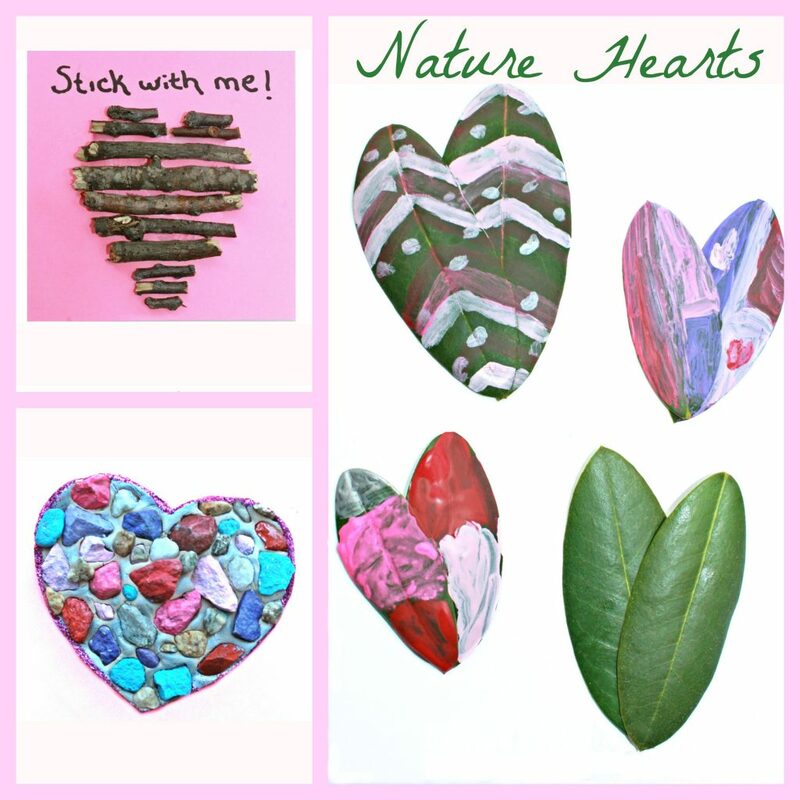 I just love how these beautiful nature hearts turned out and I am so happy to have Kim share them with us! Kim blogs over at The Pinterested Parent. 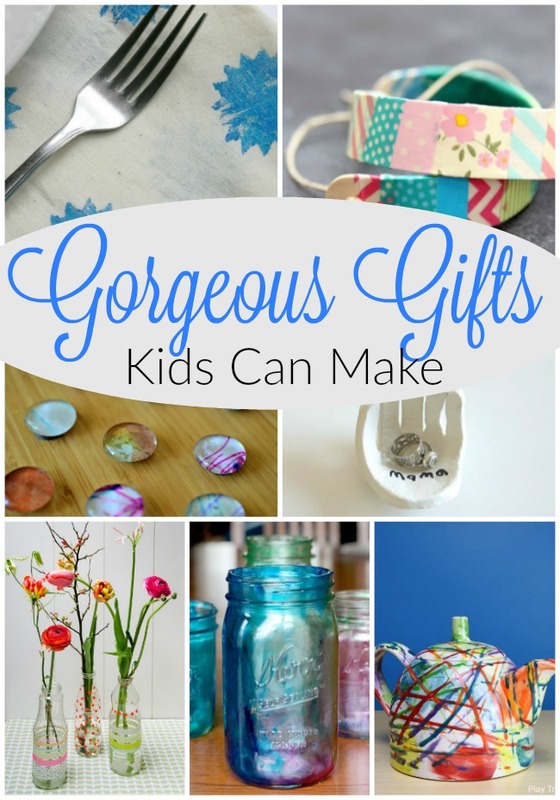 You can follow her on Pinterest, Facebook, Instagram, or Twitter – whatever suits your fancy! « Swept away with learning! Oh these are all so CUTE! Thank you so much for the mention too!